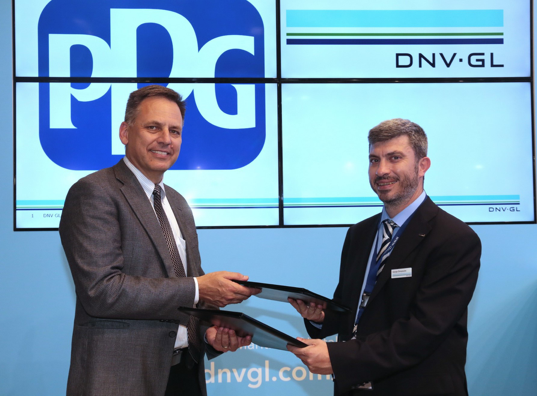 PPG and DNV GL have signed a collaboration agreement focused on operational data analysis using DNV GL’s next-generation hull analysis methodologies. According to data published by the IMO, about one tenth of the world fleet’s fuel consumption can be attributed to poor hull and propeller performance. This costs owners an estimated USD 30 billion in additional fuel costs per year and contributes to 0.3% of all man-made carbon emissions. Released in 2017, the ISO 19030 standard defines a set of performance indicators for hull and propeller maintenance, repair and retrofit activities to improve operational performance.